Hey, everyone! It's a feathery day! Why?! 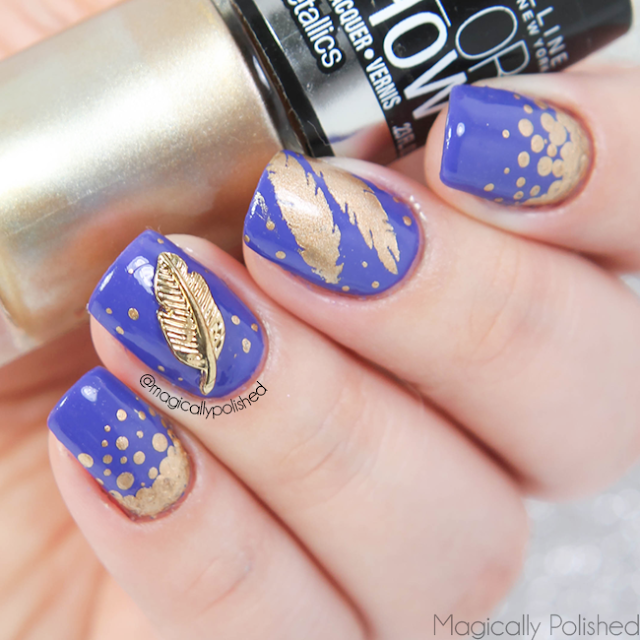 Well my nails are all about the feathers...charms and decals. 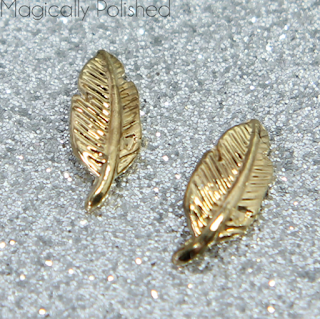 For today's post, I' was dying to find the right time to try out these adorable feather charms from Born Pretty Store. They have tons of amazing inexpensive nail art tools and accessories. Especially, new arrivals every other week, which is exciting to look through! I love accenting my nails with nail charms and studs, no matter how cliche they get. I think it gives the nails a little oomph! Especially when you have no clue what nail design you want to do. It was really hard to choose a specific charm, within their selection. 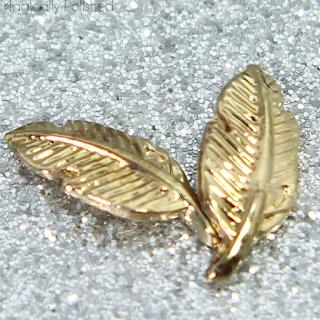 So I chose is their feather charm. In the small bag, it contains two charm when you receive it. 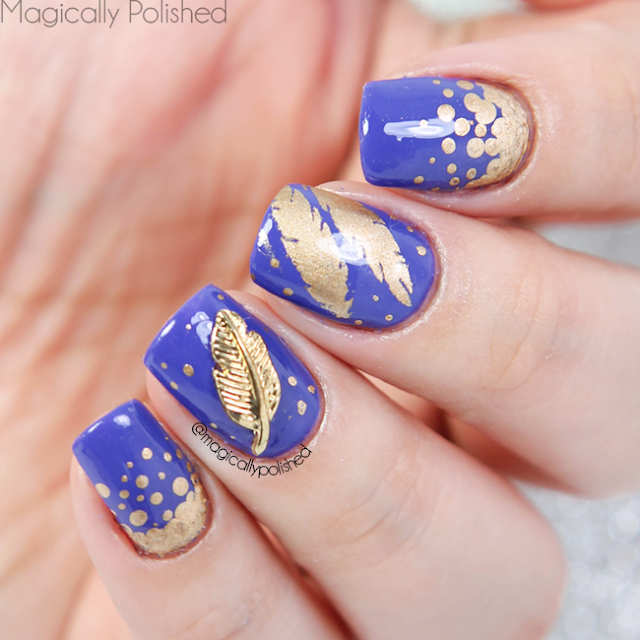 For this look, I wanted to accent the charm by adding some fun golden designs. So what a better way to start with a purple base. I feel gold and purple are always a perfect, despite what some people say. It just fits! Once the base was completely dried, I added a few dotticure on two of the nails using Essie Good of Gold and a dotting tool. 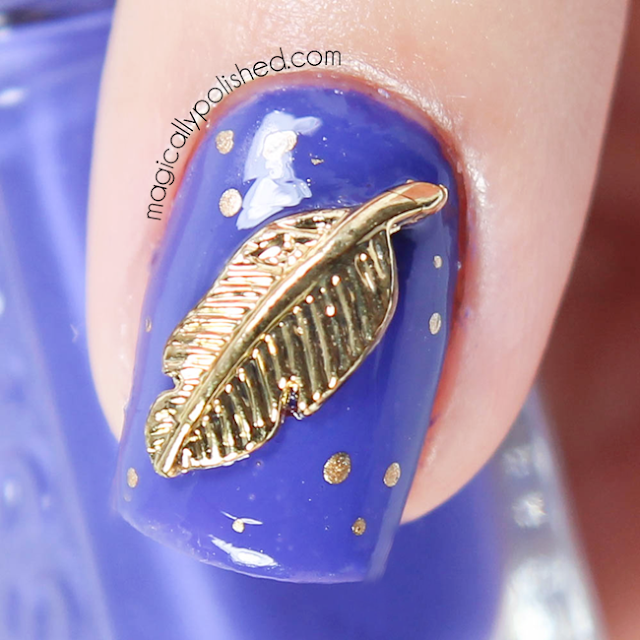 I then added Twinkled T feather vinyl and applied Essie Good as Gold over it. For the charm, I applied top coat (for one day wear) and added the charm using tweezers. Lastly, I sealed the design with H K Girl Top Coat! Overall I love how these came out! The charm and color combo looks fantastic and fun to wear. The floral water decals is $1.99 each and are a great to use for fun and quick design. 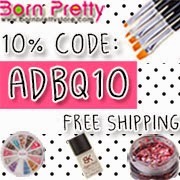 Receive 10% off your Born Pretty Store order with my coupon code: ADBQ10 and free shipping worldwide.